George J.A. Vassos | Littler Mendelson P.C. 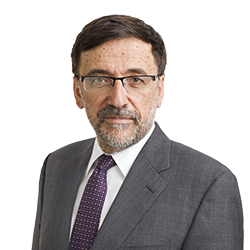 Before joining Littler, George was a Senior Partner with Kuretzky Vassos Henderson, which was three times named one of Canada’s Top Ten Labour and Employment Law Boutique Firms by Canadian Lawyer Magazine, most recently 2014-2015.